I am an Instructional Technology Facilitator in Lewisville ISD. For Social Studies and More! In the Tech Goal survey, several SS teachers requested regular updates on apps that might be used in the Social Studies Classroom. Other requests included instructions for creating a narrated flipped video and ways for students to create a product to show what they know. I will try to fulfill all these requests in this monthly newsletter. 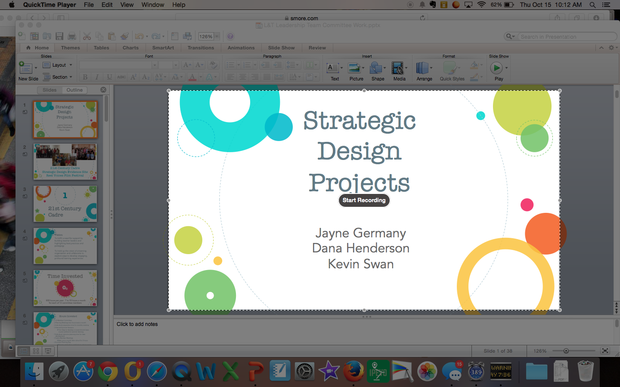 If you use SMART Notebook, Google Slides, or Power Point as your guide, do not go full screen in these programs. Keep it small where you can navigate from slide to slide and be able to hit Stop when you are finished recording. Do not record the entire screen in Quicktime. Choose just the slide portion as the part you want to capture. See the picture below. Your movie will look like a full screen video, but you will have room to maneuver the 2 apps that you are using. This technique also makes the file size smaller. Do not be a perfectionist! Talk in an informal tone or talk like you are speaking to a group of students. Mess-ups are ok! Make your videos short: 5 minute max. There is a great search feature if you don't want to use the Doc of the Day. 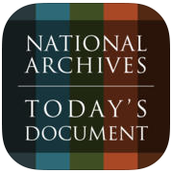 DocsTeach from the National Archives: If you haven't visited this app for awhile, there are many exciting changes. You can now create classes and assign pre-made or custom lessons to your students. 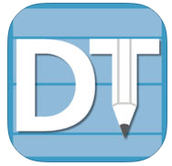 You create them on a computer @ http://docsteach.org/ and students complete them on the iPad app. 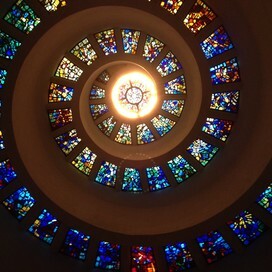 Students can focus on skills such as sequencing, focusing on details, making connections, mapping history, seeing the big picture, weighing the evidence, and interpreting data. 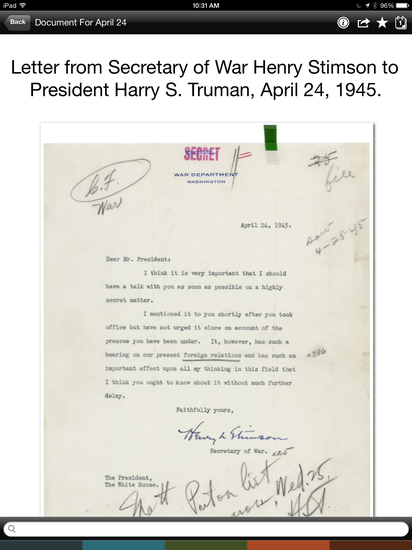 Browse collections that span historical eras and America's role in them. Here is a How-To if you wish to get started. 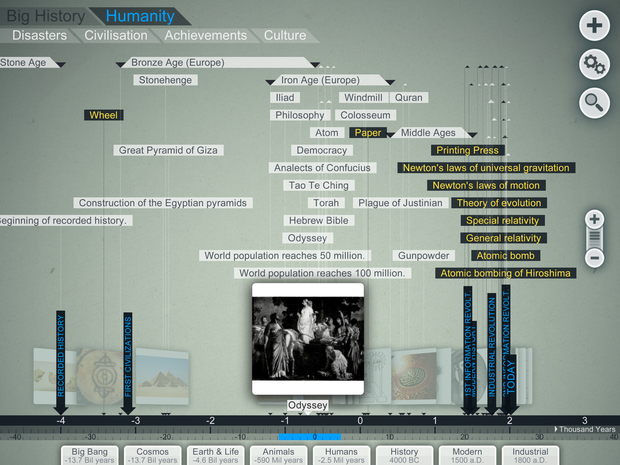 LittleBig History is truly a BIG interactive timeline, allowing students to explore topics from the Cosmos to Earth and on to Life and Humanity. In Humanity, browse Disasters, Civilization, Achievements, and Culture. This great tool can help students see the contexts of historical events and eras. 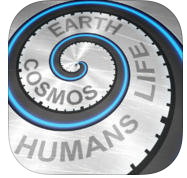 This app places humanity in the large context of cosmos, earth and evolution of life. As always, if you would like to make an appointment with me to explore these tools together, please send an email to germanyj@lisd.net.